A transmitter button which you can install on the door or at any other location. 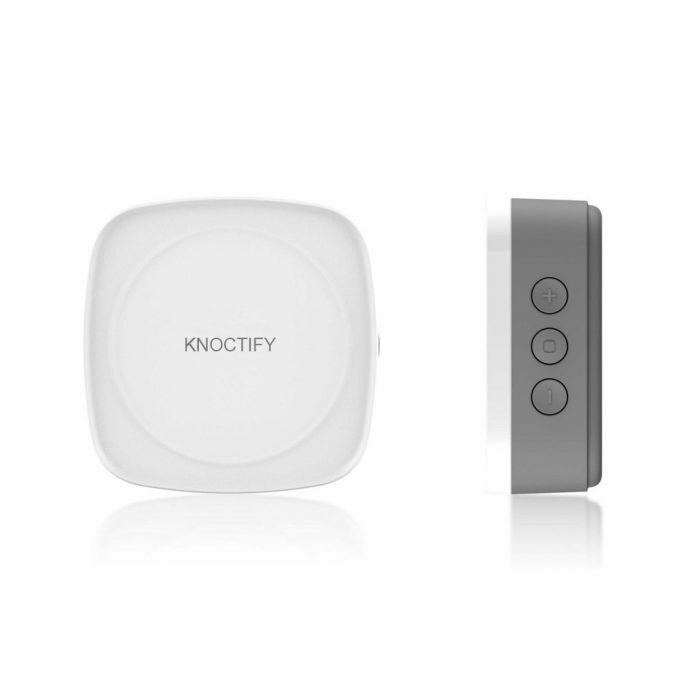 The button triggers Knoctify Light when it is pressed. 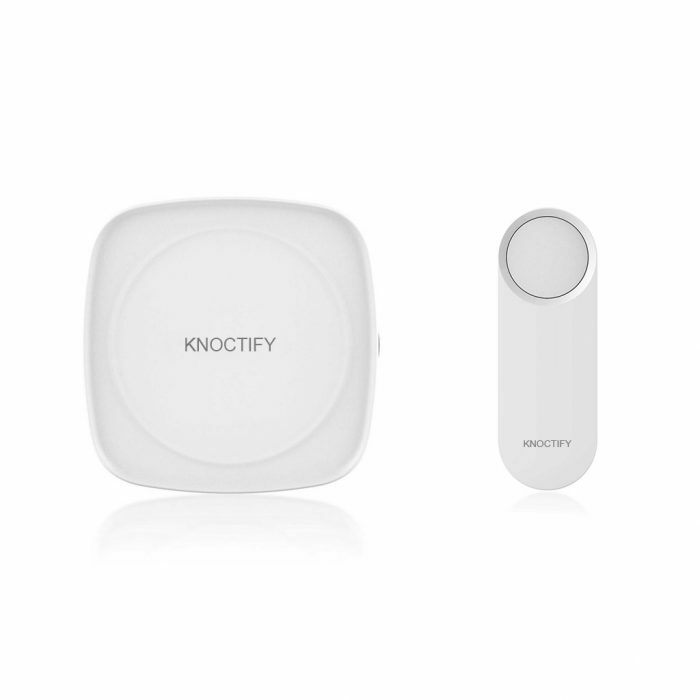 A vibration sensor on the button can also detect a knock on the surface that it is attached to, triggering Knoctify Light. Knock detection works best on a solid wooden surface.